﻿ Are budget private schools challenging government schools? Are budget private schools challenging government schools? According to DISE data, 45 percent admissions are happening in private schools and 55 percent with government schools. Under the constitutional framework, it’s mandated to provide education to all, right from the beginning. Maharashtra has one of the largest numbers of aided schools and these aided schools have started behaving exactly like government schools and colleges. In government schools there is not as much of quality and this has led to the rise in number of budget private schools. Currently, out of all private schools, around 80-90 percent are budget private schools and rest 5 -10 percents are elite schools. Budget schools started from 1980 onward. Today according to the DISE data, out of total admissions in schools in the country, 45 percent admissions are happening in private schools and remaining 55 percent with government schools. 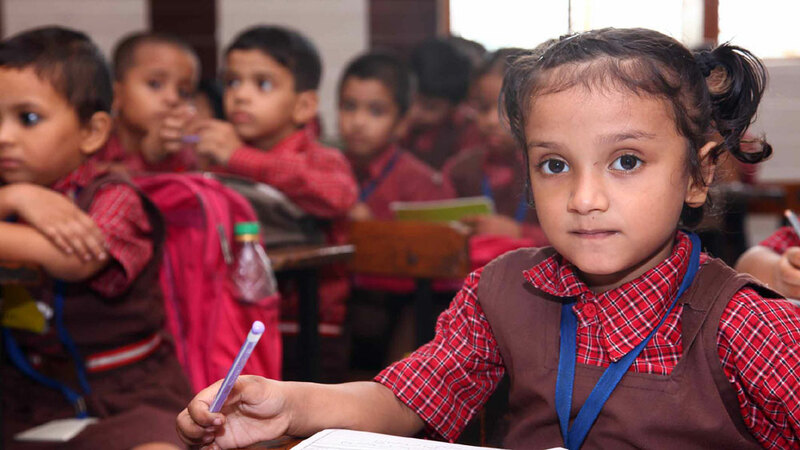 According to ASER report by Pratham Education Foundation, around 62 percent students in 6th grade cannot do basic Maths, English and Hindi of second grade. According to the Delhi government’s assessment of their own schools, 72 percent students in 6th grade cannot read Hindi, English and Maths of their own class. This has led to the rise of budget private schools. In government schools, several fake enrollments happen and Haryana government has counted 4.5 lakh fake enrollments in government schools. Maharashtra, under RTE government has to give per school per child Rs 17,000 per year, so any school which is providing education at the price below this are budget private schools. Similarly in Rajasthan it is Rs 14000, in UP Rs 6000 and in Delhi it is Rs 17,000. Whether it’s a state education act, national education act, right to education act or curriculum framework of 2006, all say that it’s a government’s duty to provide education with all the amenities to the students in government schools. So, under RTE, government provides all the facilities to the government schools, but if the private school doesn’t have facilities like toilet and drinking water, they should close down. This shows an entirely difficult policy approach toward budget private schools by the government. It rarely focuses on private schools and that too with the approach of controlling and regulating it, keeping in mind the elite schools duping students with not good infrastructure and high charges. Budget private schools have not come up well over the years due to failure of the policy designed. Budget private schools are now coming up as parents are finding quality at a cheaper cost with these schools. Now, government takes this move as a threat because BPS has grown up to a challenge, therefore there is very negative approach from the government to BPS. The Right to Education Act is made in the view of elite school and not the BPS. BPS have problem with national RTE and state wise education act. RTE is not for poor, as it is proving to be politically fraud. Some provision in the act comes as threats due to which many schools have voluntarily shut down. According to media in Maharashtra, around 7000 schools have been served with notice and they are on the verge of closing. In Haryana, 1372 schools had received the closure notice, but court sustained the order. Under the act, BPS has to pay the salary to the teachers as per 6th pay commission, which is not possible. Under the RTE Section 12 (1) (C), 25 percent seats should be reserved for poor EWs (Economically Weaker Section) students for whom we can claim upto Rs 17,000 from the government. We have been asking the government about the parameters of the calculations for the reimbursement for these students with RTIs, but government is not responding to it. Also if all 25 percent seats are not full with the admission, the rest seats have to be kept vacant till 8th grade, as according to the rule, government doesn’t pay for that. It is the government’s duty to provide education to EWS students, but they are mandating the private schools too to do the same with reserving 25 percent of the seats. So it’s an encroachment in private schools. The schools have to claim the lowest fees, but not beyond Rs 17000 for the EWS students to the government. The reimbursement is done based on recurring expenditure. The recurring expenditures are teacher salary and uniform and the government divides the number of EWS student’s reimbursement amount with the entire year’s expenditure. But, for any private school the biggest cost is capital expenditure, which is the building and the land. Hence, around 60 percent of the cases in the court against RTE are particularly under section 12 (1) (C).